In 1984, the Baton Rouge economy was among the worst in the nation. The Greater Baton Rouge Food Bank was organized to aid in this problem in the fall of ’84 as an outgrowth of Urban Ministries Coalition. The Greater Baton Rouge Food Bank services 11 parishes in Louisiana: Ascension, Assumption, East Baton Rouge, East Feliciana, Iberville, Livingston, Pointe Coupee, St. Helena, St. James, West Baton Rouge, West Feliciana, and a satellite distribution center in Tangipahoa Parish. In the 11 parishes served, more than 135,000 people (or almost 16% of the population) are food insecure. Food insecurity means that an individual does not know where or when they will find their next meal. Food-insecure households may not always be food insecure, but it may reflect a household’s need to decide between basic needs, such as housing or paying bills, and purchasing nutritionally adequate foods. 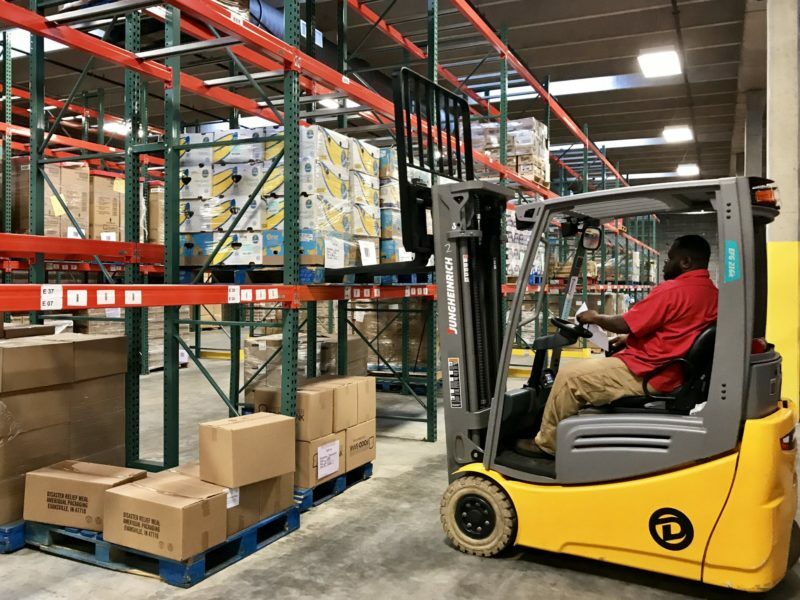 On average, the Greater Baton Rouge Food Bank distributes approximately 250,000 pounds of food and other products (such as cleaning supplies and toiletries) per week. Without the thousands of volunteer hours each year, the Greater Baton Rouge Food Bank would be unable to provide food to the many children, seniors, and families facing hunger in our community.